Recently the majority of the media coverage of Michigan has spotlighted the problems that are taking place in Michigan, such as the Flint water crisis or the loss in manufacturing and automobile jobs. However, that does not mean that there are not communities and organizations that are aiming to cleanup its streets and improve the lives of its residents. 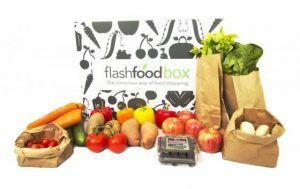 Tyson Foods has decided to partner with Flashfood Inc. to improve healthy eating by producing and selling healthy food boxes at a modest price. There is a growing problem in America where the food on grocery store shelves that is not eaten or has been bruised will get thrown out of the store. It is a loss of inventory for the grocery stores and their customers. At the same time, the price for healthy food is continuing to increase forcing low income individuals to have to spend their money on food that lacks the proper nutrients. The repackaged food venture in Detroit, called Flashfoodbox, is attempting to resolve both of these issues through collecting the surplus food from Detroit’s super markets and selling it at an affordable price so that individuals who previously were not able to afford the food now have to opportunity to enjoy a healthy meal. It has been reported that “For $44.99 a box, customers get about 5 pounds of protein, including meat, and nearly 10 pounds of rescued vegetables and fruits, which Flashfood CEO Josh Domingues said could be enough to prepare 14 meals at less than $4 per plate.” Not only has this partnership worked to help individuals get quality food; it has prevented 15,000 meals from going into landfills. If the consumer has limited transportation options, no problem; the affordable and healthy food boxes can be brought to an individual’s door. Now that is thinking outside the box!